Over the past couple of months I have been diligently collecting shot length data from Laurel and Hardy short films in order to compare the shot length distributions of the silent and sound films to see what impact – if any – sound technology had on the style of these films. I have now completed this and done the analysis, and am currently in the process of writing the article to explain the results. A draft version will be posted here as soon as I’ve finished. (This constitutes proper research and in no way was an excuse to watch Laurel and Hardy films). As part of this I have been reading a lot about Laurel and Hardy, and remembered that I have several issues of an old film magazine The Silent Picture, founded in 1968 and edited by Anthony Slide. You can access Slide’s website here. These came into my possession, along with some American 16mm newspapers, via the Oxfam shop in Harrogate sometime in the late-1990s, and mighty interesting they are too. 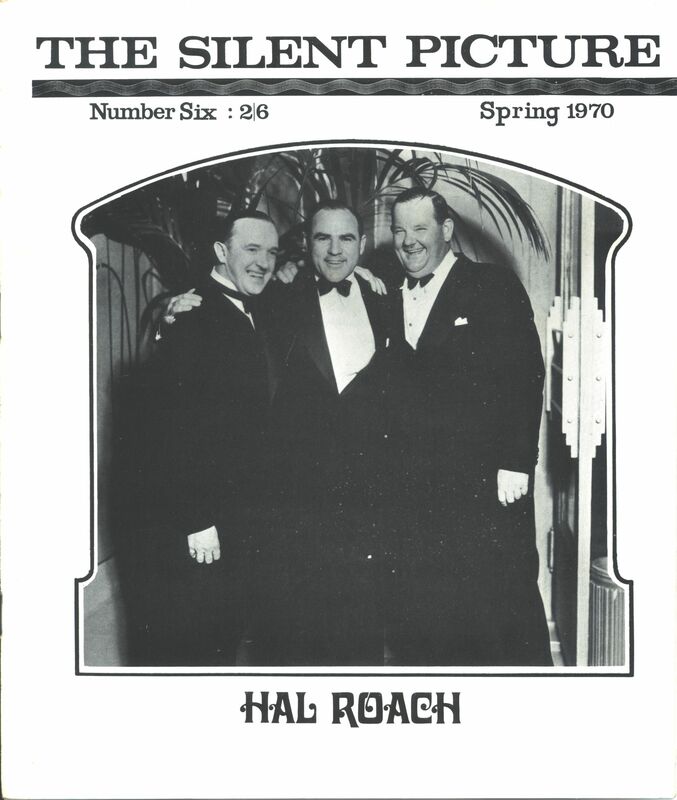 In particular number six from 1970 (Figure 1), which features an interview with Hal Roach – Laurel and Hardy’s producer. In the course of this interview, Slide asks Roach how Laurel and Hardy came to be paired and the answer is fascinating. AS Can you tell me how the Laurel and Hardy team developed? HR Hardy was working for us as a heavy; in fact he’d worked for other companies as well, but then he came to work steadily for us. And Laurel – I saw him in vaudeville and engaged him. After we did engage him, we found out that because of the film at the time – he had very light blue eyes – hi eyes wouldn’t photograph, so he became a writer. And I think for about a year he was a writer at the studio. The panchromatic film came in, and so we made a test for him on panchromatic film and found that his eyes now did photograph. So we put him in a bit – he was still a writer. Hardy was also in the picture, and they seemed to complement each other, so the next one, we gave them a bit more. AT that time all comedy teams, or most of them, had a straight man and a comedian. Here were two funny men that would complement each other, and could play straight tot he other one, and I though that would be a very good thing for comedy. You would do a gag as you did in any normal picture, and you could always cut to a close-up of either one, and their reaction was good for another laugh. 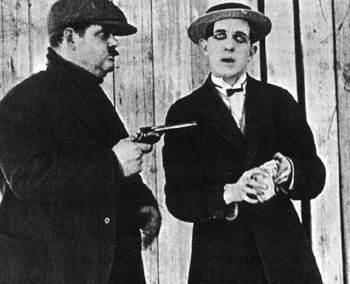 An important factor in Roach’s decision to use Laurel as a performer was, then, predicated on the available technology, with panchromatic stock becoming widely available in the 1920s Laurel’s films career may have been a good deal shorter, comprised only of films like The Lucky Dog (1919) where heavy eye make up was necessary (Figure 2). In total I have 15 issues of The Silent Picture, nos. 2-17 (11 and 12 were published as a double issue), covering the period from Spring 1969 to Spring 1973 so its nearly a complete collection. The Silent Picture ceased publication in 1974.